For backpackers in Australia, Bundaberg is famous for two things – rum and farm work opportunities. But there’s much more to the city of Bundaberg than meets the eye. That’s why I’ve asked Bundaberg locals, Alan and Ros, to share their best tips for visiting Bundaberg. 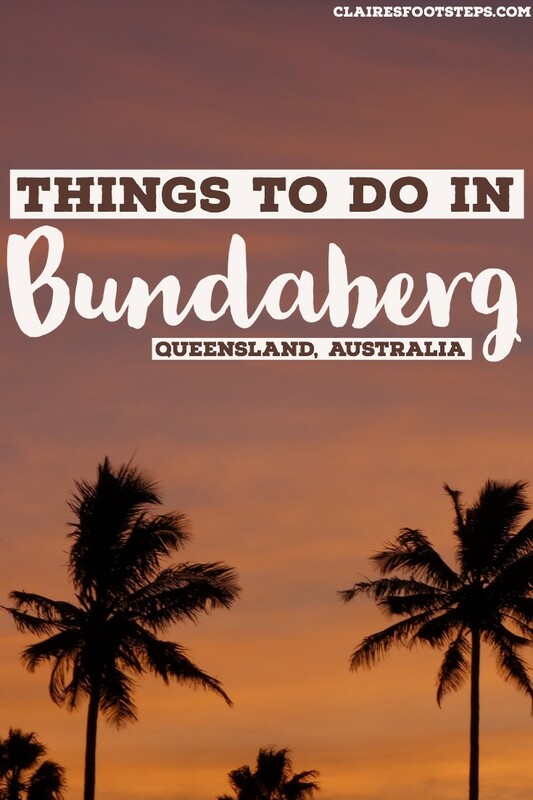 So whether you’re just visiting the city for the day, or are spending a bit more time here, check out this list for the best things to do in Bundaberg! We have travelled to many parts of the world, but nothing can beat our hometown of Bundaberg in Queensland Australia. Bundaberg’s subtropical climate, proximity to the Great Barrier Reef, coastal beaches and lush green cane fields make discovering the best things to do around Bundaberg a real treat. If you are planning to visit Bundaberg, make sure you have these attractions on your list. 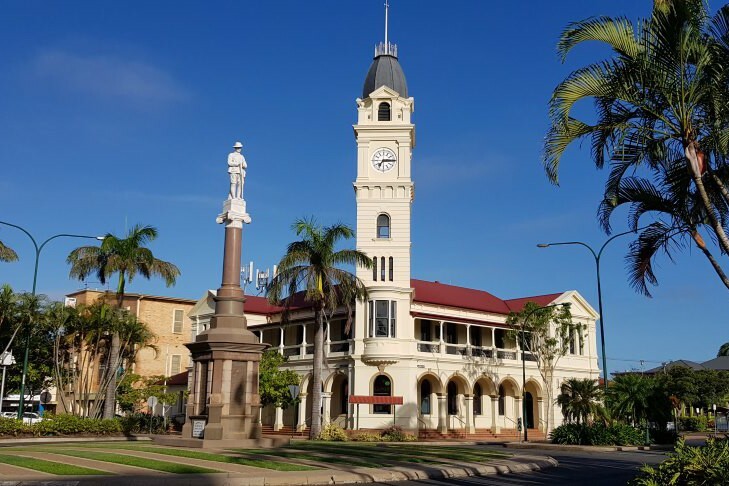 Bundaberg is a modern city with a country town heart. The old-world facades of Bundaberg’s main street lays testament to the mercantile spirit of Bundaberg’s pioneer families. The charming clock tower of Bundaberg post office and the digger on the WWI memorial always remind me that I’m home. Walking around the city and taking the sights in is one of the best things to do in Bundaberg. In 1889 the first batch of Bundaberg Rum was made, and it put Bundaberg firmly on the map! This popular beverage has become a collector’s item, not bad for something that starts its life as molasses, a by-product of our local sugar industry. 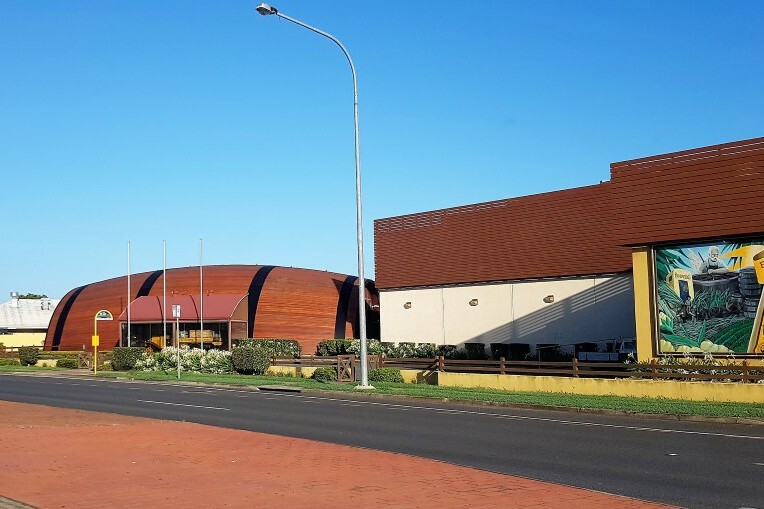 To discover the lengthy distilling process, the Bundaberg Rum Distillery has an informative range of tours including the distillery museum, the distillery factory or you can enjoy the ultimate experience of blending your own rum. 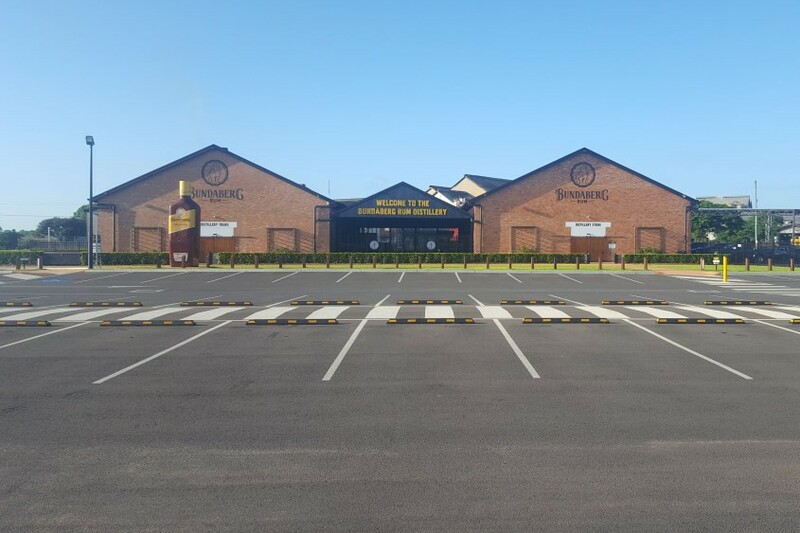 The Bundaberg Rum Distillery bottle shop has a large selection of aged rums and merchandise for every Bundaberg Rum fan. During our travels we have been surprised at the number of places Bundaberg brewed drinks turns up, we have bought our favourite flavours deep in the Scottish Highlands and in small Vietnamese towns, it always gives me a thrill when I find them on the shelf. The Big Barrel on Bargara Road offers the True Brew Experience tour. The tour gives an insight into how Bundaberg’s iconic Ginger Beer is brewed. It’s a great place to discover Bundaberg Brewed Drinks ever expanding mix of flavours. My favourites are pink grapefruit and sarsaparilla. Bundaberg is the birthplace of Bert Hinkler, the famous aviator who flew the first solo flight between England and Australia in 1928. Bert Hinkler went on to break many flight records before his death in a plane crash in 1933. Learn more about Bert’s incredible life at the Hinkler Hall of Aviation and Bert Hinkler’s home which was shipped brick by brick from England to Bundaberg. Both Hinkler Hall of Aviation and Hinkler House can be found at the Bundaberg Botanical Gardens. Indulge has been a favourite restaurant for years, with an innovative menu it has the Bundaberg locals coming back for more. Indulge is in Bourbong Street, the main street of Bundaberg, and is the perfect place to visit after a morning of shopping. There are a range of delicious vegetarian and vegan dishes on the menu. This is a fantastic chill place while travelling the east coast. It has a common area with free WiFi, Netflix and comfy dorms. The owners are keen to increase tourism in the area, so are a mine of information about the most fun things to do in Bundaberg. Click here for rates and to book today. 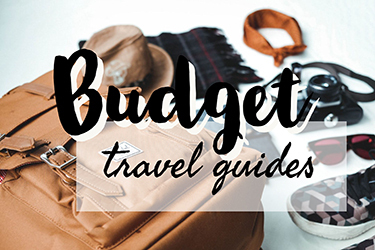 Read More – Everything you need to know about backpacking Australia. The Burnett Riverside Hotel is located on the Burnett River, yet is still central to Bundaberg CBD. The hotel has a choice of accommodation styles including hotel room, apartment and penthouse apartment. Some rooms have river views, come with fully equipped kitchens and have disability access. The Burnett Riverside Hotel has a well-appointed restaurant and bar on site. Click here for rates and to book today. Most people are thinking of somewhere a lot further north when they are considering where to dive the Great Barrier Reef, but Bundaberg has some of the best wildlife in the entire oceanic area. You can take a day cruise to Lady Musgrave Island from Bundaberg. The island is beautiful and there are plenty of watersports opportunities – as well as diving, of course! When snorkelling or diving, you’ll see tropical fish, manta rays, turtles, reef sharks and so much more. There are various diving and snorkelling sites around the island where you can see different types of wildlife. A short 15-minute drive will have you relaxing on the golden sands of Bundaberg’s coastal region. 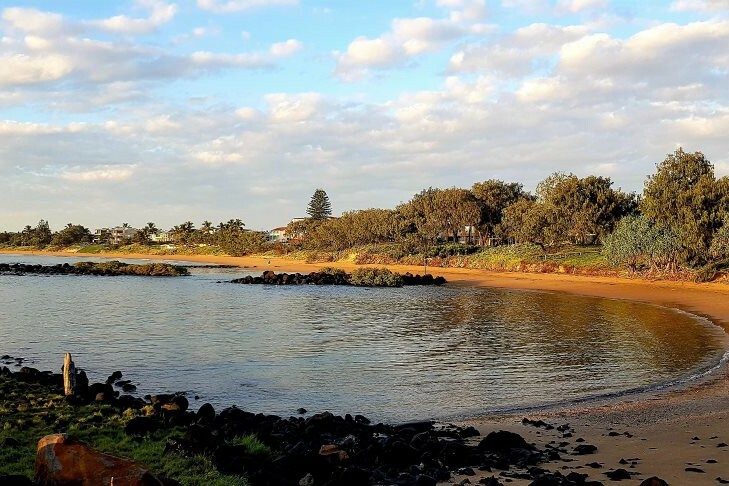 Enjoy the restaurants and café culture of Bargara Beach, learn more about loggerhead turtles on Mon Repos beach or play a game of golf at the Coral Cove Golf Club, the choice is yours. Mon Repos beach has the largest concentration of nesting turtles on the Eastern Australian mainland. For an unforgettable experience, head to Mon Repos beach between November and March for the loggerhead turtle nesting and hatching season. The Mon Repos Turtle Centre is a conservation and education centre. The centre raises awareness into the plight of the endangered loggerhead population and the steps being taken to protect them. 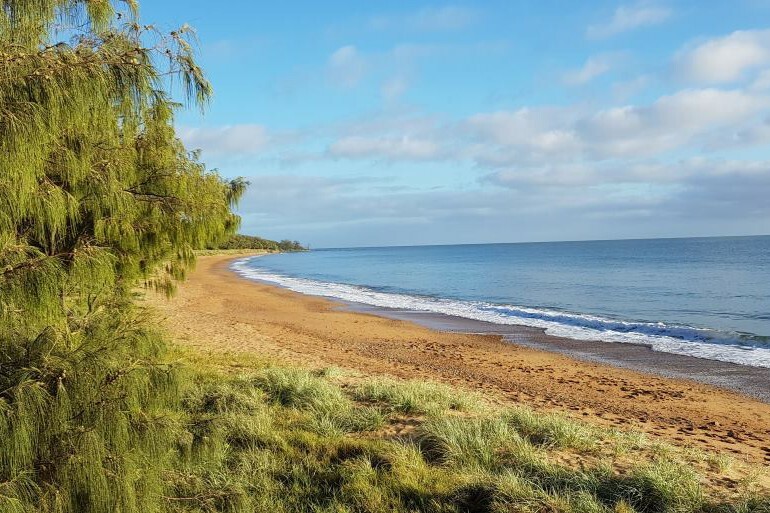 Between October and April, Mon Repos beach is closed to the public from 6pm until 6 am. Park rangers conduct evening tours to watch turtles nesting and hatching. These tours have limited numbers and strict guidelines that must be followed to protect the turtles. We have been privileged to watch turtles hatching. It was a magical experience, one I will never forget. The Turtle Trail is a walking and bike path that links Bargara to Burnett Heads. The Turtle Trail runs through a variety of environments including urban, wetland, bush, stunning coastal beaches and cliffs. The trail is the place to spot wildlife in their natural habitat and is one of our favourite walks. Here, we have had the pleasure of spotting kangaroos, kookaburras and sea eagles to name a few. Bargara has a selection of beaches on its doorstep; you can choose from Bargara, Kellys and Neilson beaches. Bargara is the place to come and sit and relax at one of the beachside restaurants and cafés, the place to meet up with friends for that early breakfast, coffee, lunch or dinner. Imagine sitting down to breakfast, the relaxing sound of the waves rolling on the beach, that first sip of coffee and the sparkle of the morning sun shining across the ocean. Welcome to Rick’s at Bargara! 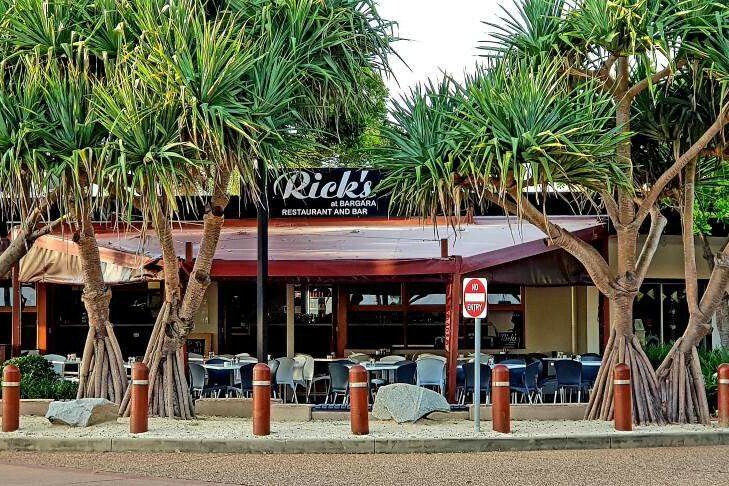 Not only does Rick’s at Bargara have the most delicious courses in town it also has a delicious variety of vegetarian and vegan options on the menu. Top that off with live music on Friday and Saturday nights and you have a real winner. 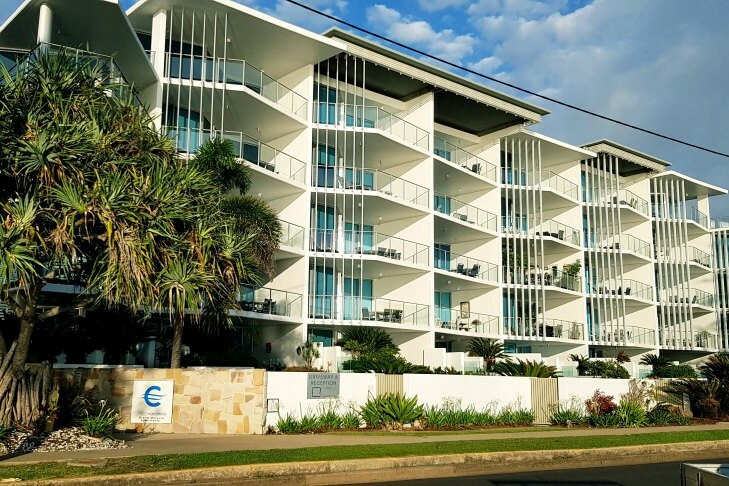 With oceanfront views, sparkling pool and apartment style accommodation C Bargara Resort is within easy walking distance to beach, restaurants and bars of Bargara. C Bargara has a range of apartment styles for any size family, there is a choice of one, two and three- bedroom apartments and two and three-bedroom penthouse apartments. C Bargara Resort is a 20-minute drive from Bundaberg Airport. Click here for rates and to book. A fifteen-minute drive from Bundaberg will have you in the sleepy seaside communities of Innes Park and Coral Cove. At Innes Park you will find the protected inlet of Palmers Creek, a popular place for families to picnic and swim. Paths from Innes Park lead to the dive site of Barolin Rocks where you drive among an array of corals, stingrays, and reef fish. The path continues to Coral Cove Golf Club and Coral Cove Resort, an 18-hole championship golf course with ocean views and authentic Australian bushland. The Coral Cove clubhouse features a bar and restaurant, perfect for those after golf celebrations. The Coral Cove Resort offers golf and accommodation packages, just the thing for the golf lovers in the family. Bundaberg is 384 kilometres north from Brisbane, the state capital of Queensland. 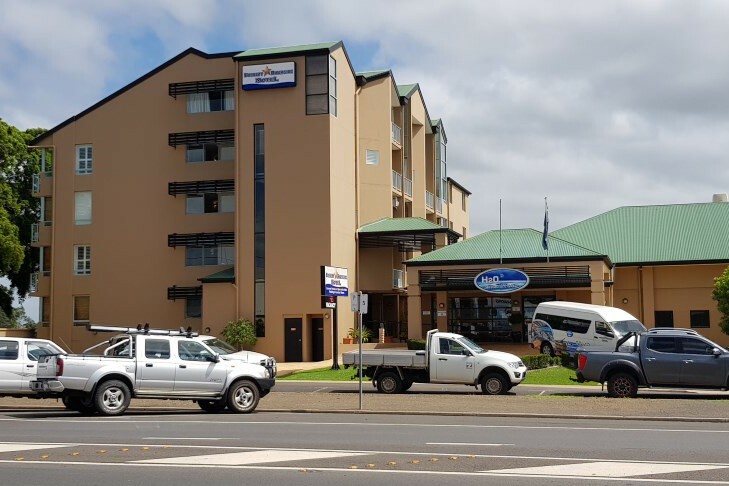 Getting to Bundaberg is easy; there are daily train connections between Brisbane and Bundaberg and Greyhound buses have bus services between Brisbane and Bundaberg. So head up to this Queensland town once you’ve completed the best things to do in Brisbane! Why wouldn’t you want to visit Bundaberg, it has the best climate in Australia, a laidback lifestyle, great scenery and friendly locals. Come and check out what Bundaberg has to offer, you won’t be disappointed. Australians, Ros and Alan Cuthbertson. 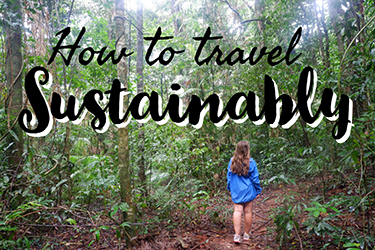 Both in our 50s quit the conventional 9 to 5 workstyle in 2014 to travel the world full time. For part of the year, we are based in the vibrant city of Chiang Mai Thailand. 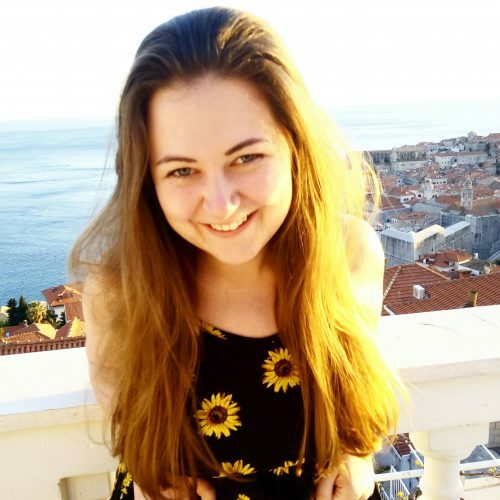 It is from here that we regularly travel to nearby Asian countries sourcing content for our travel Blog Frequent Traveller. 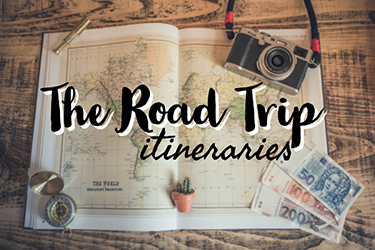 When not exploring Asia, we travel further afield and have over the course of the last few years travelled to many European destinations, as well as North and South America. Like this post? Share it (see Pinterest below) or follow me on Facebook!